At Kitchen by Design, we don't just sell modular furniture, we sell lifestyle that is designed with individual customer needs in mind. Standard of living in India under went a metamorphosis in the late 90's. Today the gap between the standard of living of the top demographic population of India and their counter parts in developed economies is very small. Modern Indian homes depict a statement of owner's lifestyle. Kitchen by Design is a brand that was launched in the year 1999 by enterprising entrepreneurs, namely Christopher Hartnett, Samia Ali Khan and Sunil Rao, of Linus Consultants (P) Ltd., who initially sensed the need to redefine the kitchens in Indian homes and later diversified into wardrobes and other types of modular furniture. "To provide Indian homes with an array of modular kitchens, wardrobes etc., which are at par with international quality and standards, and are designed for aesthetic looks, comfort, functionality, dimensional flexibility, choice of colours, textures and accessories to match an individual customer's needs and lifestyle." After years of experience and thorough understanding of customers needs, KBD through its innovative design team have re-engineered many features of modular kitchens to suit the Indian requirements. 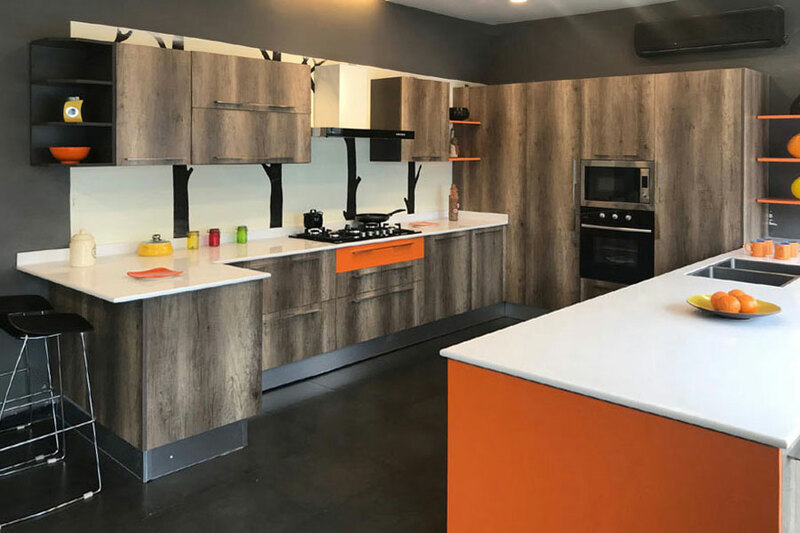 The company is expanding their base and opening state-of-the-art modular kitchen and wardrobe showrooms across the country in a phased manner. It has been and will always be a continuous endeavour on our part to supply consistent quality of modular furniture in innovative and contemporary designs at affordable prices. Since inception we have installed over 4500 kitchens in homes across the country to the satisfaction of a wide array of customers that belong to diverse demographic classification.